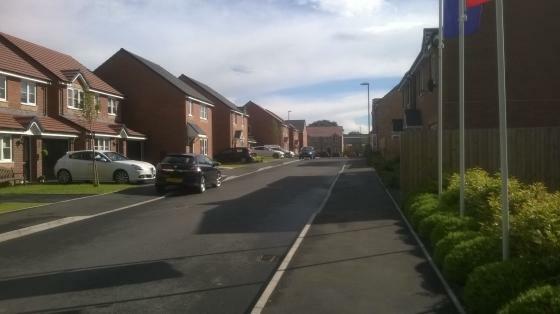 New building developments at Arlington Way, Recently 106 new houses were built in Shrewsbury. This development offers a unique opportunity to enjoy peaceful surroundings, with a choice of two, three and four-bedroom properties. The new building developments enjoy a location on the northern edge of Shrewsbury, a short distance from the glorious countryside, and there’s everything home-hunters could want for day-to-day living right on the doorstep, including a choice of schools and local shops in Shrewsbury just a short walk away from the new developments. 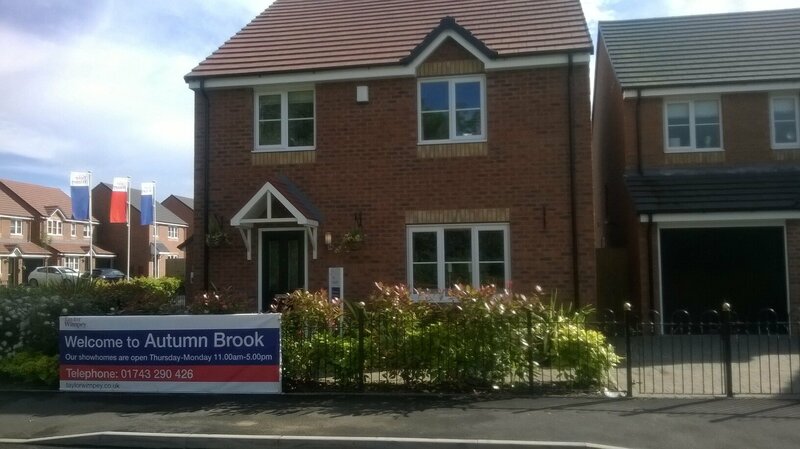 The Draycott in Shrewsbury is a modern 4 bedroom detached home offering two floors of living accommodation. On the first floor you will find a family sized lounge which is located at the front of the property. The separate kitchen and dining rooms are at the rear of the house with the dining room including French doors to the rear garden which gives you an area for entertainment, and that all important downstairs cloakroom completes the ground floor living space. On the second floor, you will find a master bedroom with fitted wardrobes and an en suite, the second bedroom is suitable as a double, making it a good room for guests or an older child. There is also the family bathroom on this floor plus the third and fourth single bedrooms making this building development the ideal family home. Mortgage Advisers in Shrewsbury – Helping Your Secure Your New Home! If you need a mortgage adviser for one of these new building developments then AFP Partnership Independent Mortgage and Insurance Advice can help you. AFP are Independent Mortgage Advisers and can scout the market on your behalf to find the most suitable mortgage for your needs and circumstances. Our mortgage advisers have over 150 years of joint experience and have arranged mortgages worth over £2 billion. Meaning you will have the comfort of being in safe hands. We have access to many mortgage schemes not available in the High Street or to other brokers. Whether you are a first time buyer, moving home, purchasing a second property, looking to purchase or refinance an investment property or seeking to re-mortgage your home, we will help you secure the best mortgage product for your new building development.